I’m going to preface this by letting everyone know this post is picture heavy, and they are all selfies of me. If that’s not your thing, this post is not for you. 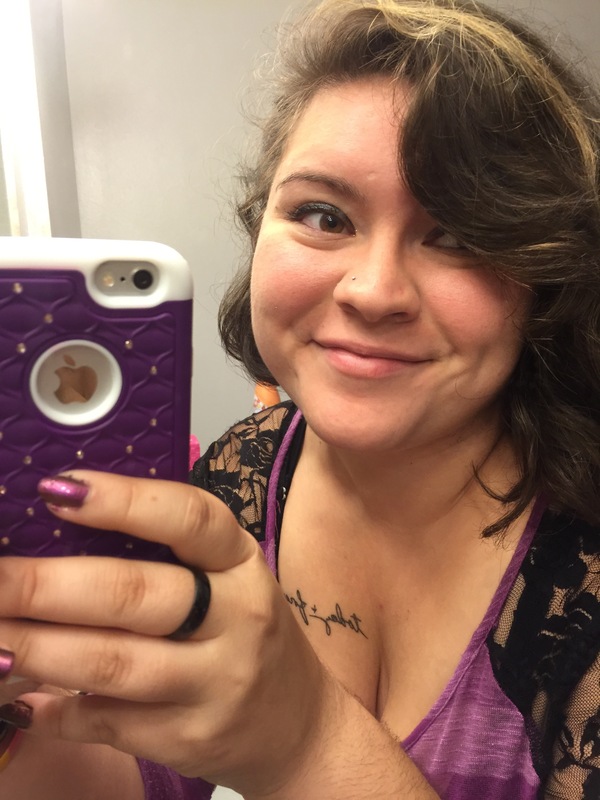 Last August I quit a professional job I had to focus on school work for my Senior year. I knew I was moving this summer and wouldn’t be able to work anyway. I had previously dyed the front of my hair blue, but it had faded, and by this point completely grown out. 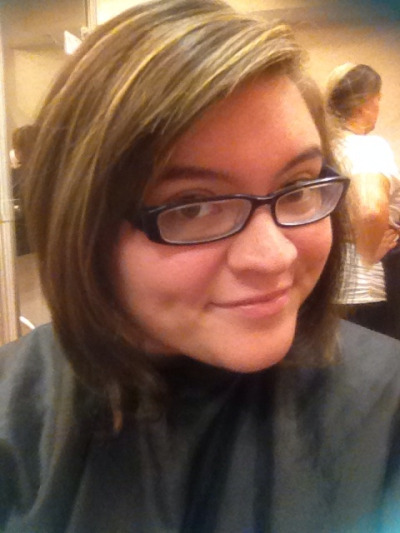 I took this picture the day I went to get my hair cut short again and also get highlights. The plan originally was to dye these highlights blue or purple. I knew it was my senior year and that this was a good time to play around with color. I enjoyed these highlights for a while. Then I decided I wanted to be Ursula for Halloween. 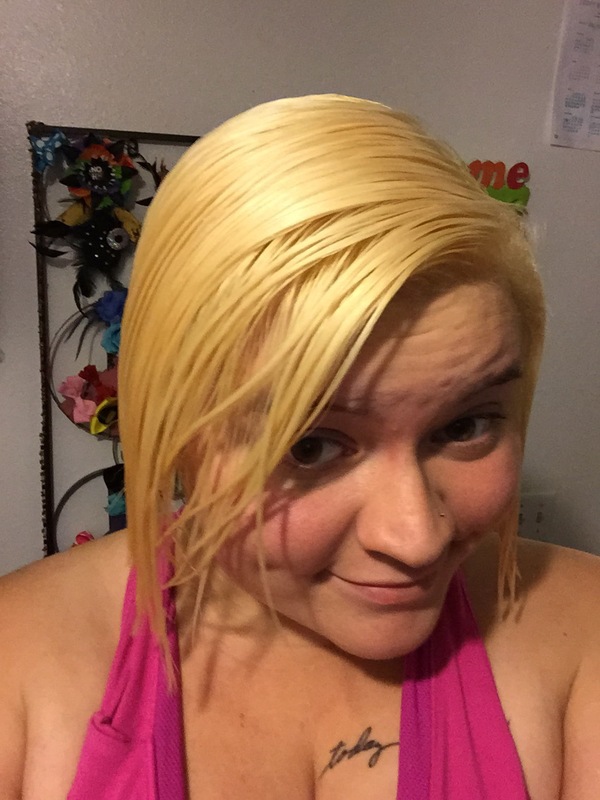 Rather than try to color my hair white another way with a wig or something, I decided to bleach my whole head. 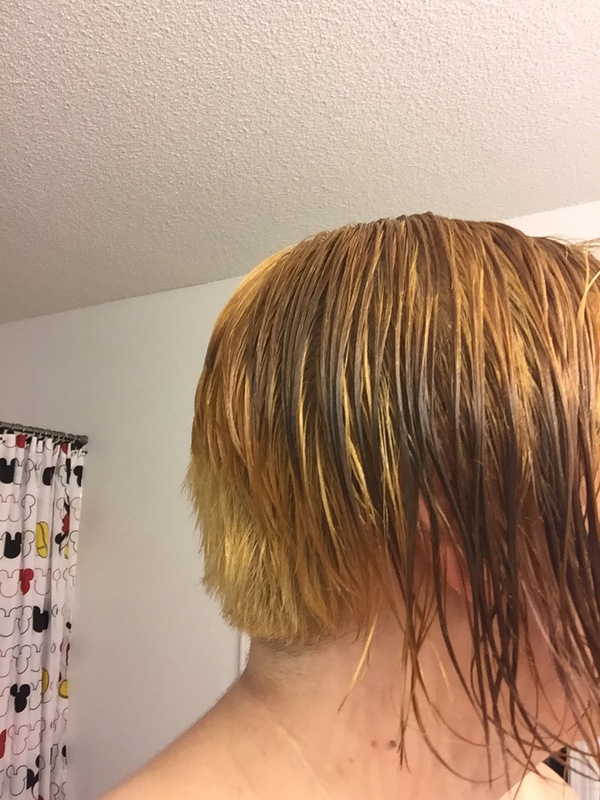 Since my hair was so dark it was very yellow at first. From here I decided I wanted even shorter hair and so I had my friend cut it short enough to shave in the back. From here we bleached it again to achieve a very bright blonde that I fell in love with immediately. 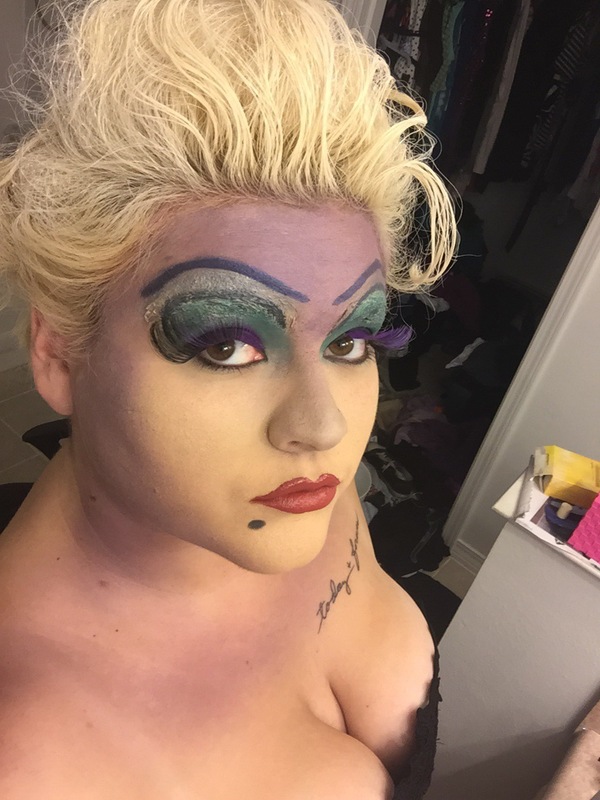 October hit and I finally got to be Ursula. I got a lot of compliments and I’ve dressed up as Ursula a total of four times in the last year. The next time my friend did my hair he toned it and accidentally turned it pink. 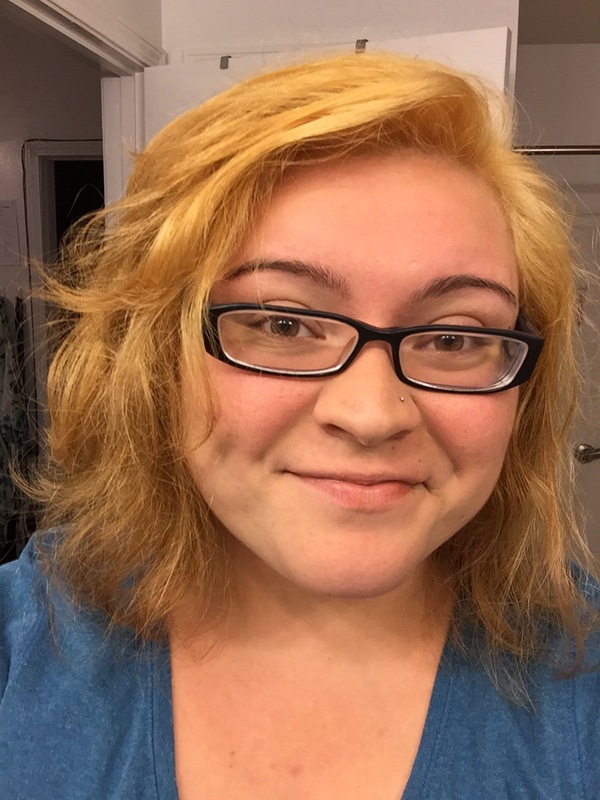 I didn’t even last a week with my hair this color and immediately bleached it again. After this I didn’t get my hair done again for a while. 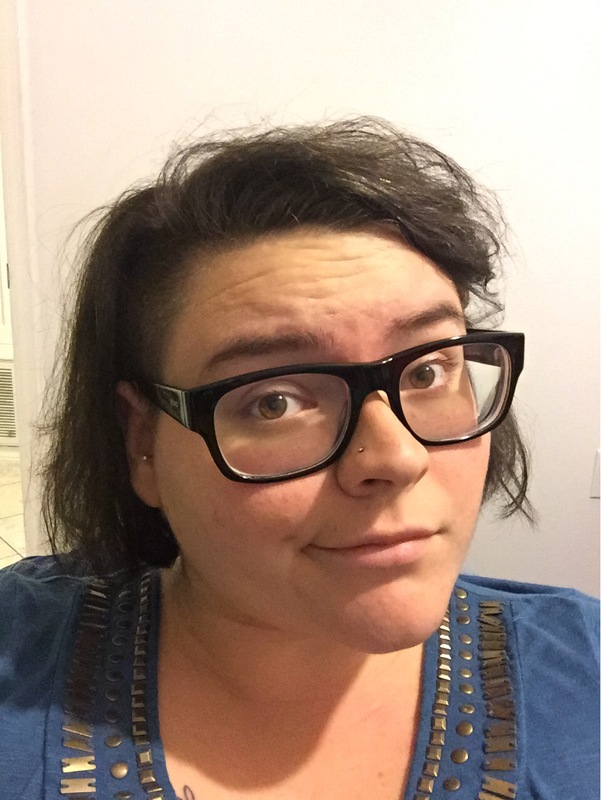 At the end of January I got my Tragus pierced and decided I wanted a side cut to show it off. And again. I loved it. My friend warned me that it would take a long time for the hair to grow back. But that’s a problem for another time. 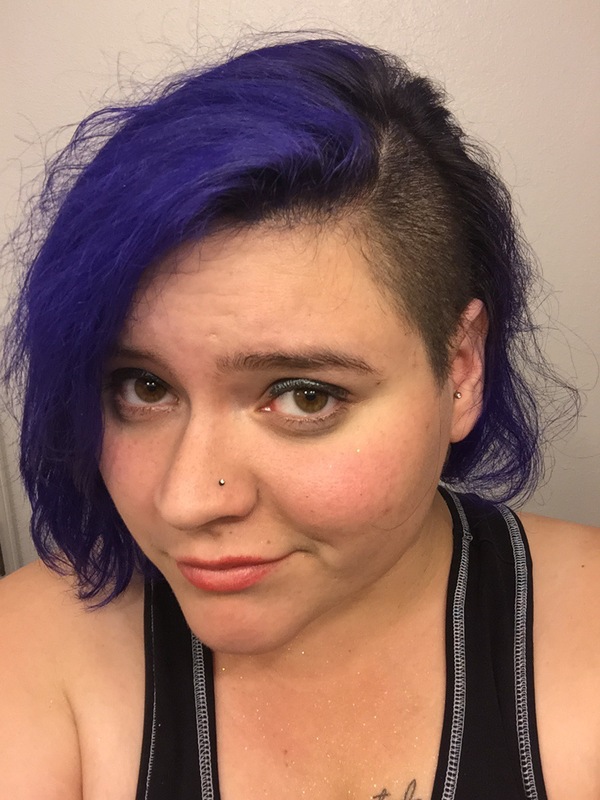 I’ve had my sidecut almost four months and I still love it. The plan from the beginning was to dye my hair blue or purple. 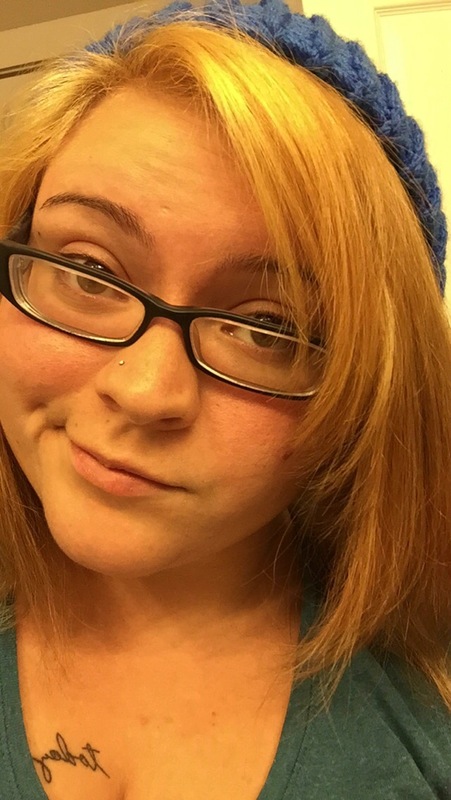 I loved being blonde so much I kept making excuses and pushing it back. One day I decided it was time, but I didn’t have the money to get my friend to do it. So I went out and bought Kool-ade. It was a mess, but it turned out really pretty. I used three packets of Grape. 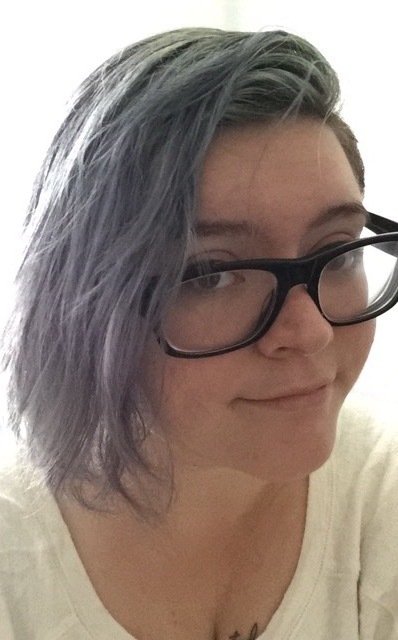 My hair went from a teal-y blue down to a lavender. I had mermaid hair and I couldn’t be happier. However as it faded, everyone thought I had dyed my hair grey. I did this right around when the “young people with grey hair” thing became popular and it just wasn’t what I wanted. It didn’t help that everyone commented on it. People were constantly asking me if it was purple or grey and bringing up the trend. It was time for real color. I was on top of the world. My hair was so vibrant it didn’t look real. Everything felt right in the world because my hair was awesome. Unfortunately, only a week or so after dying it purple, it faded really badly. I had lavender hair with blondish splotches. I’ve decided that the best route for me right now is to have a natural color. 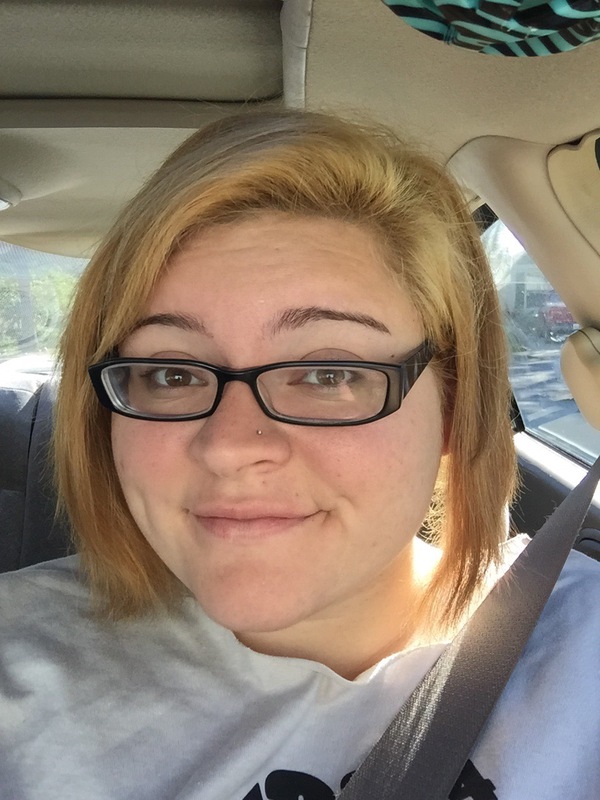 My hair is pretty damaged since I’ve bleached it at least five times in the last year. 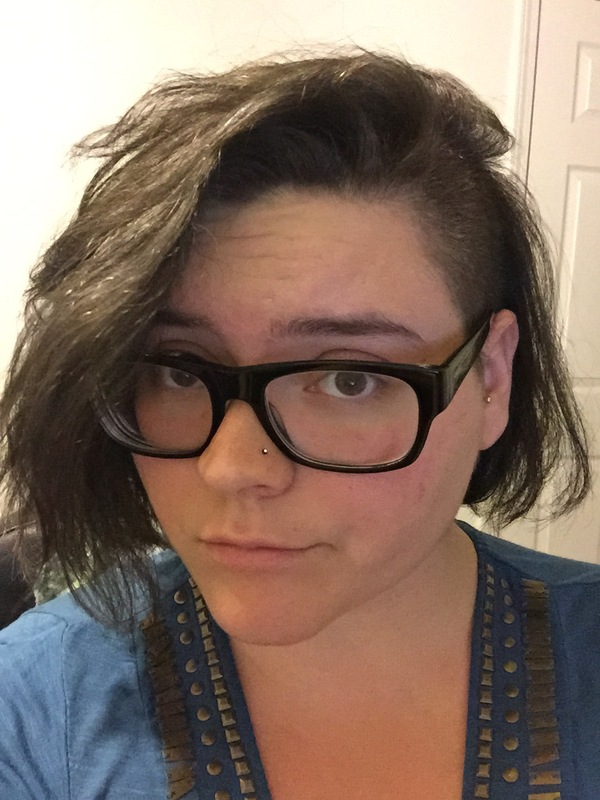 I also think I want to grow my hair out again. So I’m going to let it get healthy again. I got my ends trimmed and I dyed it. I’ve basically come full circle. I feel like this is darker than my natural color, but we’ll see how it does as it grows out. From here I might go to an ombre from brown to blonde. 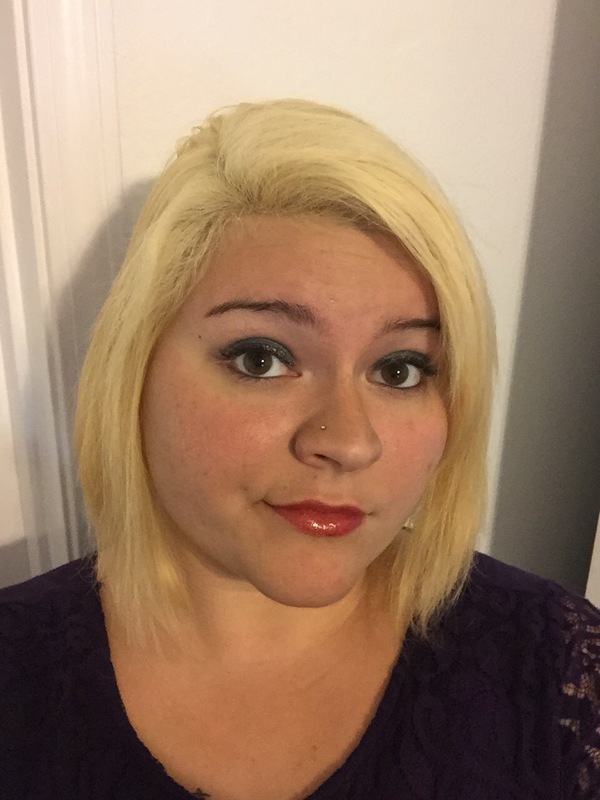 I miss having light colored hair already, but maintenance is too much for me to afford and it’s damaging for my hair. Another reason for going back brunette is that when I get back from vacation I’ll be searching for a job, and I want to look hire-able. After I’m hired I can see what will be acceptable, but I’m thinking it’ll be easier to get a job with a natural color for now. Who knows, in the morning I might hate it.